This script will paste the contents of a Simplenote entry into ConnectedText. It's still raw, but it works. It works from both the Simplenote Website and the Chrome Plugin (and both from the note view and the editor). As I said in one of my earlier posts, I bought an iTouch. The main reason was that I am doing research and some writing in a library which is not as quiet as I would like it to be. Listening to music seems preferable to listening to students work on their papers. This is, however, not the only thing the iTouch is good for. Among other things, I can also read the New York Times on the Subway. The Stanza reader is also useful. Since buying the device, I have also read Thomas Mann and Oscar Wilde. While the iTouch is not designed for note-taking, it works tolerably well in a pinch. The only trouble is how to get the Notes from the device into a PC. At first, I thought that Evernote was the ticket. It allows synchronization of the iTouch and the PC by way of its Website. It is, however, much more than I need (and the interface just does not click with me). Meanwhile, I have found another setup that for now seems to be preferable. It's the combination of Simplenote, Chrome, and the Simplenote Chrome extension. Both the Simplenote application on the iTouch and the Simplenote extension on Chrome synchronize with the Simplenote Website. You can easily add, edit, or remove content on either the iTouch or Chrome. You can, of course, also do this on the Simplenote Website. I should perhaps also point out that there is a version of Chrome for OS X. 1. For an interesting report on Chrome, see here. 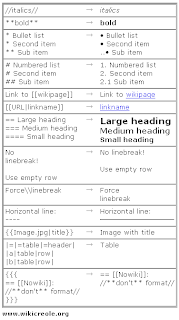 There is a project that has the creation a standard wiki markup language as its goal. It's called WikiCreole. I don't know how important such a standard is. In any case, it's easy enough to transform ConnectedText's markup into WikiCreole. Indeed, most of ConnectedText's markup is identical with it. Here is another post on Notational Velocity (and Writeroom) by Douglas Barone. On the same blog, you also find interesting ideas about a File System Infobase Manager, some of which might be implemented in other note-taking setups as well. The latest post sings the praises of "going minimalist." It's too minimalist for me, even though I just did a very foolish thing: I bought an iTouch and am experimenting with Evernote as a "universal inbox." I am in the process of revising my earlier views on the wisdom of keeping such an inbox on the Web. 1. See also the earlier post on Lo-Fi, in which I referred to this approach already. Notational Velocity is a simple, perhaps even simple-minded, application for note-taking. In Mac-speak that's called "elegant." It has three panes, one to type in a search term, one to show some headings of notes, and the last for the note itself. It saves information in text format (which can be encrypted) and it has incremental search. That's it. The program is like a card index without systematic order. Indeed, without any order at all. The chaos of notes can be navigated only by searching or browsing. It's Amish computing or "software minimalism" at its most radical and therefore can count on a loyal congregation of the faithful and a steady trickle of curious CRIMPERS who might like the idea (but usually will soon abandon it again for what appears as greener pastures). 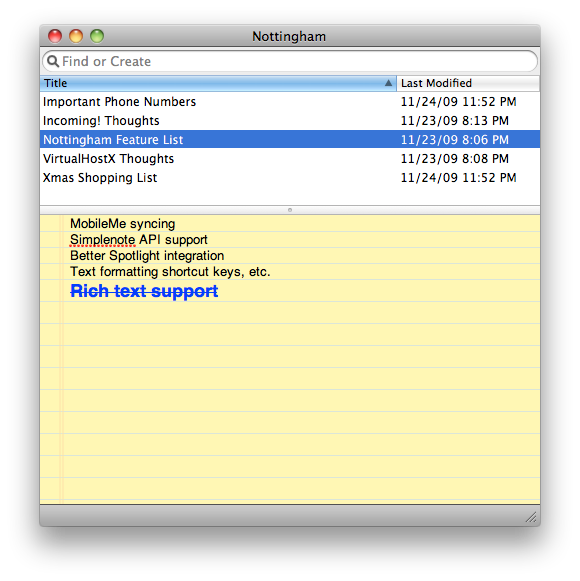 Nottingham, a clone of Notational Velocity, added syncing to the iPhone using Simplenote, Spotlight integration, Evernote import, and Markdown previews. It also changed the note pane to look like a yellow pad. The most recent version of Notational Velocity follows suit and adds "native" synchronization with Simplenote, or via files with WriteRoom for iPhone and Dropbox. 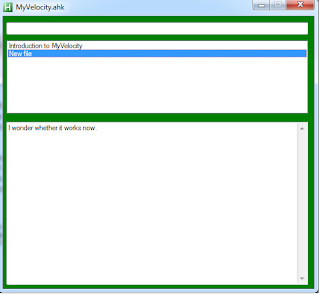 Notational Velocity is freeware. Nottingham is shareware ($14.95). There is nothing quite as elegant for the Windows platform, unless you count the freeware application Scrapbook. It has only two panes, but it sports a menu and toolbar. They are really not needed, as almost everything can be done by keyboard. The search opens a second window. Perhaps the developer, Eric Nitzsche, can be persuaded to make it look and feel even more like these two very elegant programs :). 1. See the comments for a reference to the older version of Notational Velocity. 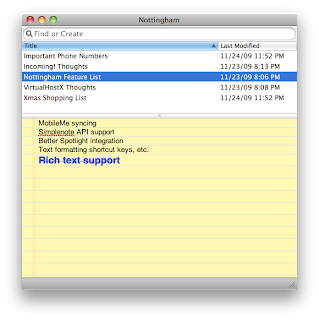 Friday, October 29, 2010: Resophnotes is at least as elegant and available for Windows. See here. It's now at version 1.1.5. Instructions: Select the passage you want to convert; press F10 and Q at the same time. Notepad will open and the conversion will start. Once the conversion finished, save the file with the name of your choice, using the rtf extension. Open it in your word processor. What it does: It translates italics to italics and bold to bold. It will also translate ConnectedText's footnotes to footnotes in rtf. I have tested it with Atlantis. It works. It would, of course, be possible to translate other formatting as well, but I don't need much more, so I have not implemented it. It should also be easy to adapt the script to other Wiki Markup. But I don't know of any personal wiki application that implements footnotes as well as ConnectedText which is one of the many reasons why I use it. For information on the rtf file format, go to Rich Text Format and scroll to the bottom where the links to the different versions are. Are Word Processors Stupid and Inefficient? In this old but apparently still popular paper, Allin Cottrell Allin Cottrell argues that a word processor is a "stupid and grossly inefficient tool for preparing text for communication with others." The main argument is that "preparing printable text using a word processor effectively forces you to conflate two tasks that are conceptually distinct and that, to ensure that people's time is used most effectively and that the final communication is most effective, ought also to be kept practically distinct." In other words, WYSIWYG is "evil." I am not sure this is the way to go. TeX is not for the faint-of heart. Indeed, the conceptual overhead of TeX, or perhaps better: the amount of time you will have to invest in learning and maintaining the skill you need, will for most people rival the amount of time spent in uselessly formatting documents in a common word processor. Of course, if you have to work with complicated mathematical or logical formulae, you might hav to use it. But for most of us, it would be overkill. It seems to me that a better way to go is to use a light-weight lightweight markup language, like Markdown or ReStructuredText. 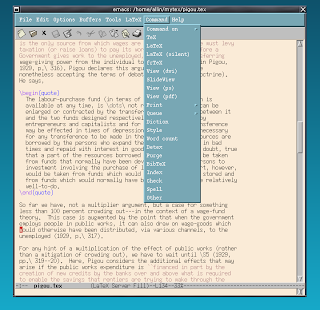 Scrivener, for instance, uses a version of Markdown called MultiMarkdown. Another approach would be to some kind of Wiki Markup—which, of course, is precisely what I do. This is a middle way between using a fancy word processor, like Microsof Word, and Amish Computing or Lo-Fi writing. In the end, however, you will end up submitting your work in "rtf" or "doc" format anyway. You don't have to use MsWord, however. I use Atlantis which allows you to save your files in a variety of formats, icluding rtf, doc, and even docx and OpenDocument (ODF) format. It does both footnotes and endnotes in the same document, something which MsWord has never been able to do. What is really needed, I think, is the capability of easily transforming documents written in some kind of markup language to rtf or other word processing formats. Scrivener has these features, and that makes it most interesting in my view, not the fancy-schmantzy index card metaphor and the lame outliner. Look at this! Perhaps a bit expensive for personal use ... but what about the office or the university? Seems better than the recycling bins—at least to me. Trunk Notes is a personal wiki for the iPod Touch. See here and here . It can be bought for $3.99, if you have an iTunes account. Given the recent move by apple to restrict the iPod even more by forcing a software developer to remove USB support from its Stanza reader, I am inclined to resist temptation even more. Why would I want a device that is ever more tightly controlled by a company that tells its "customers" how they can and cannot use a device I have paid good money for? The very concept of a device that needs "jailbreaking" to make it freely usable seems very Orwellian to me. 1. See also MyWiki, which needs an iPhone (by which I was never even tempted :)). 2. Even more unsettling is that the developers could not discuss the reasons for having to remove USB support because they were strictly "forbidden from discussing the specifics of [their] conversations with Apple on this matter".